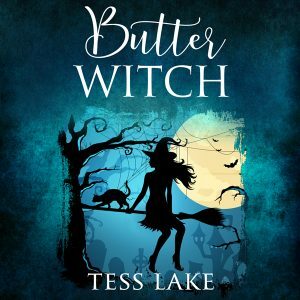 Butter Witch (Torrent Witches Cozy Mysteries #1) Audiobook now available! The Butter Witch Audiobook is now available! You can buy it at Audible or get it at Amazon or Apple iTunes. Someone has murdered one of the Butter Festival competitors. Was it Zero Bend, punk sculptor extraordinaire with a history of violence? Perhaps Fusion Swan, a sleazy agent playing the publicity game when his clients meet their untimely end? Between trying to run her struggling online newspaper, dealing with her highly caffeinated cousins Molly and Luce, fending off three meddling witch mothers who will do anything to get their daughters married off (including drugging food with magic potions) and great Aunt Cass who appears to be running an underground laboratory of some kind, Harlow barely has time to breathe, let alone solve a murder. Romance certainly isn't on the cards either but the hot scruffy guy new to town seems to have other ideas….